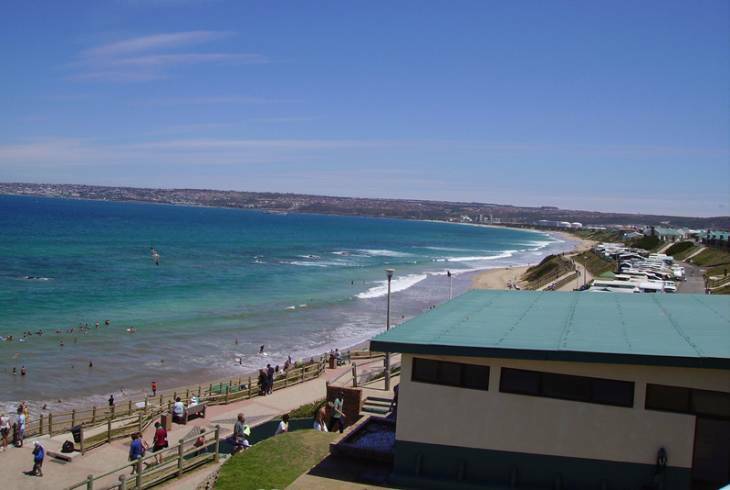 Hartenbos is situated next to the Mossel Bay industrial town, known as Voorbaai. The resort is on the banks of the Hartenbos river and is extremely popular and during peak season, December to January, when about 100 000 visitors from the interior flock to the resort. Visitors can enjoy all kinds of activities but boating and fishing are by far the most popular. The Hartenbos resort was started in 1936 by an organisation called the ATKV - Afrikaanse Taal en Kultuur Vereniging, (The Afrikaans Language and Culture Organisation) which was part of the old South African Railways. Initially the Hartenbos Resort was reserved for railway workers only, but currently it is open to anyone. The resort has a 10 000 seat stadium which is used for entertainment like traditional dancing festivals and church services. The Voortrekker museum in the Hartenbos resort displays ancient relics associated with the Great Trek in 1938 to Pretoria. The exhibit includes Bibles, clothes, and two of the carriages that were on the trek, owned by Magdalena De Wet and Andries Pretorius.